As previously mentioned, the Wallace Wood Estate has made arrangements with Fantagraphics to reprint the complete run of Wood's WITZEND, which included substantial contributions from Steve Ditko, including the first two Mr. A stories (not reprinted since 1985), the original version of "Avenging World" and some humourous single page comics, 37 pages in all. It's scheduled for May of this year, the list price would seem to range from $95 to $125 depending on the source. The ISBN is 978-1606997444, you can order it from Amazon and for comic shops the order code from Diamond will be MAR141164. When the formulaic constraints, censorious nature, and onerous lack of creator's rights in mainstream comics got to be too much for the brilliant cartoonist Wallace Wood in 1966, he struck out on his own with the self-published witzend. It became a haven for Wood and his fellow professional cartoonist friends where they could produce the kind of personal work that they wanted to do, without regard to commercial demands - and with friends like Frank Frazetta, Al Williamson, Reed Crandall, Ralph Reese, Archie Goodwin, Angelo Torres, Steve Ditko, Harvey Kurtzman, Will Elder, Art Spiegelman, Don Martin, Vaughn Bodé, Jim Steranko, Jeff Jones, Howard Chaykin, Trina Robbins, Bernie Wrightson, and literally dozens more, it was bound to be a great ride! 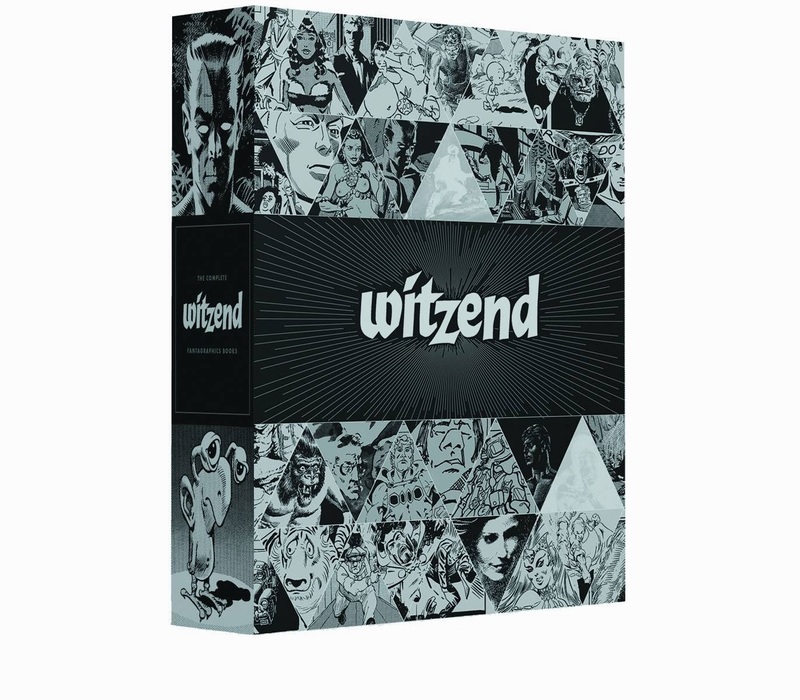 Now, Fantagraphics presents the complete run of witzend in this beautiful slipcased two-volume set with a special introduction by Bill Pearson and a history by Patrick Rosenkrantz.